Monthly Muscle Car Show will be held at Gazeebo Burger every first Saturday of the month thru November. Located at 6009 Parker Rd. in Plano, Tx. 75093. Show starts at 4:30pm with awards at 8:15pm. 20 classes with best of show truck and best of show car. 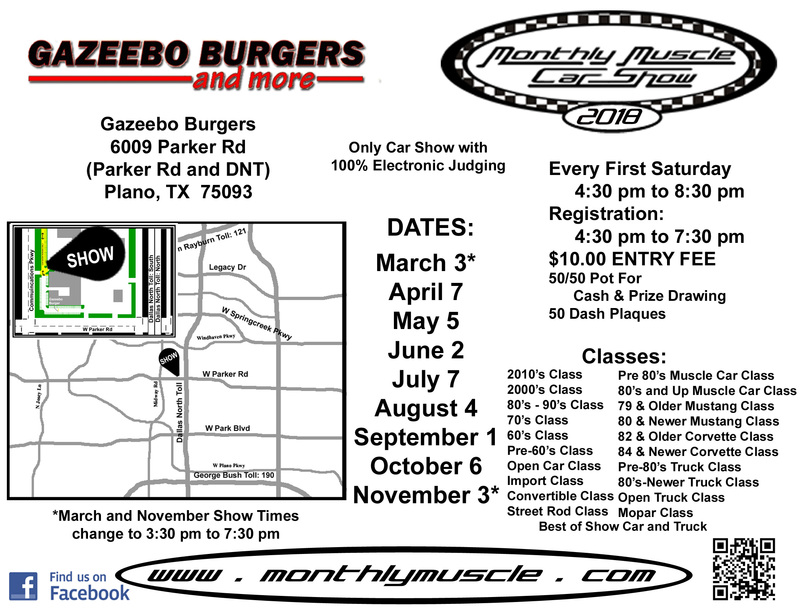 Come out have a burger and fries and have a good evening with Monthly Muscle & Gazeebo Burger! You can find us on Facebook!